Creation of the Sea believes that it is very important to maintain a good quality of water, salt and minerals in both a marine environment and the human body. Water, salt and minerals are the “essentials of life”. Without them, all life on Earth would cease to exist. Our company uses these life essentials to help create and maintain our all-natural saltwater aquarium systems, and offer them as “natural medicinal substances” or alternative/complementary medicine to benefit the health of both people and animals as well. Our natural medicinal substance product line consists of alkaline water, unrefined sea salt, bicarbonate salts, Zeolite, and Dead Sea mineral mud. All of these substances are derived from the sea, and can help detoxify the body in a safe and effective manner. Alkaline Water is considered by many to be the most important fluid that the body needs. We believe that “alkaline water” neutralizes acids (e.g., toxins) and balances the pH level in the body better than any other medicinal substance on Earth. Electron-rich, alkaline fluids help maintain the alkaline design of the body. The alkaline water we provide are Iceland Spring and Icelandic Glacial, as we believe both of these Icelandic waters alkalizes (or purifies) the body better than most filtered or spring water available. Iceland Spring water has a pH of 8.88 and Icelandic Glacial has a pH ranging from 8.4 – 8.8, which means they are extremely pure, medicinal, and provides the body with “sustainable energy”. Drinking it alkalizes body fluids with oxygen and electrons, strengthening the immune system in the process. The major element found in all body fluids is Salt, or sodium chloride. Salt is responsible for preserving and maintaining the alkaline design of the body as well. This is why our body fluids are salted with sodium chloride. Without Salt, people and animals could not survive. Salt replenishment is necessary for maintaining good health, but it can’t be just any salt, the body needs to be replenished with “unrefined, pure sea salt”. Raw and pure sea salt contains more than just sodium chloride, it also contains many of the different trace minerals (e.g., calcium, potassium and magnesium) that the body needs to stay healthy and pH balanced. Our raw Himalayan sea salt, unrefined liquid colloidal sea salt from the Great Salt Lake in Utah, raw sea salt from the Dead Sea, unrefined sea salt from Mexico and El Salvador, and organic sea salt from the coastal areas of France and Portugal contain the necessary minerals or electrolytes that the body needs to have replenished on a daily basis. They are some of the purest and healthiest sea salt products in the world, and can be used for cooking, flavoring food, or as a natural remedy. As a natural remedy, many doctors have stated that pure sea salt acts as a chelating agent in the body that helps remove heavy metals and other acids (just ask us about the many different medicinal uses with pure sea salt or go to our Sea Salt web page). Zeolite is an all-natural and non-toxic mineral that helps detoxify the human body on both cellular and physical levels. It is another chelating agent that can safely and naturally remove heavy metals (e.g., Mercury), harmful toxins, allergens, viral components, and other acids from the bodies of humans and animals. As a result, Zeolite can help balance a body’s pH level similar to the way alkaline water and raw sea salt do. People and animals can consume Zeolite to maintain good health, to remedy an acute health problem, or to reduce the severity of a short-term illness. Our raw Dead Sea Mineral Mud is comprised of many layers of therapeutic grade clay that are enriched with more than 26 minerals to help cleanse, hydrate, and oxygenate the skin. Some of these minerals include potassium, magnesium, sodium, bromine and calcium. Dead Sea mud has been known for many years to help remedy Psoriasis, Acne, Eczema, Arthritis, muscle aches, joint inflammation, and Rheumatism conditions. It balances the pH level of the skin, so this particular medicinal substance should be able to help treat a skin disorder or disease. 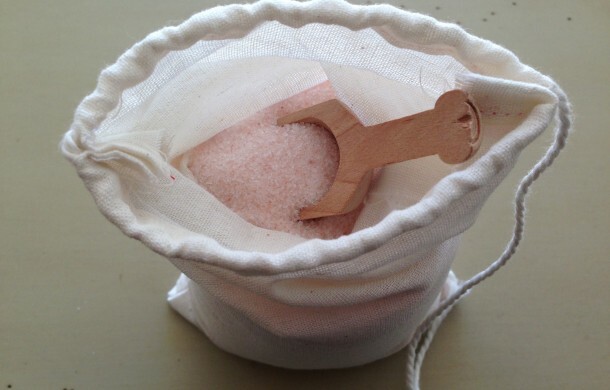 Creation of the Sea’s other medicinal substances or natural remedies include bicarbonate salts, pure bath salt, salt lamps, gourmet salt cooking tiles, salt inhalers, salt foot beds, and therapeutic salt pillows. We provide premium natural medicinal substances at an affordable price, and are currently providing these natural remedies throughout New Jersey (NJ), New York (NY), Connecticut (CT) and the rest of the nation. Please visit our product web pages to learn more, or call (908-914-7705) and/or e-mail (info@creationofthesea.com) us to learn more or place an order.